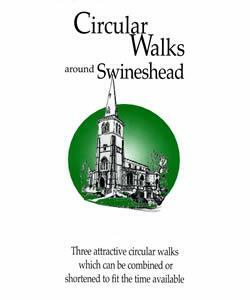 Circular Walks around Swineshead at Swineshead Walking RouteThree attractive walks around the quiet, historic village of Swineshead in North Bedfordshire, passing areas of ancient woodland. How to gewt there by car/parking: Swineshead is to the east of the village of Pertenhall which is approximately 12 miles north of Bedford. The Kimbolton Road, B660 takes you straight from Bedford to Pertenhall, then take the road to Swineshead. There is limited on road parking in Swineshead. Three attractive walks around the quiet, historic village of Swineshead in North Bedfordshire, passing areas of ancient woodland.